With January often comes new year resolutions… and that of losing weight. 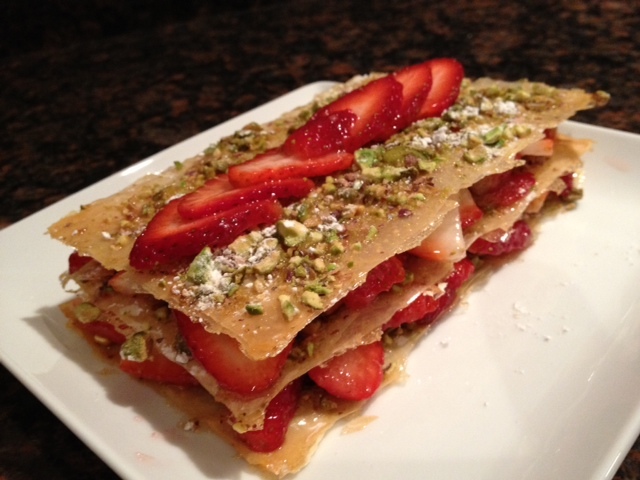 If you are one of those people, this strawberry Napoleon is the perfect dessert for you. It is fat free, easy to make and so delicious you won’t feel that you are on a diet. 2 cups of strawberries sliced thinly. Cut 36 rectangles of 2.5 x 4 inches out of one phyllo dough sheet. You may need to use several sheets to cut out those rectangles. Lay those rectangles flat on the roulpat. Warm up the honey so it is lukewarm. With a pastry brush, brush the honey over each of those rectangles. 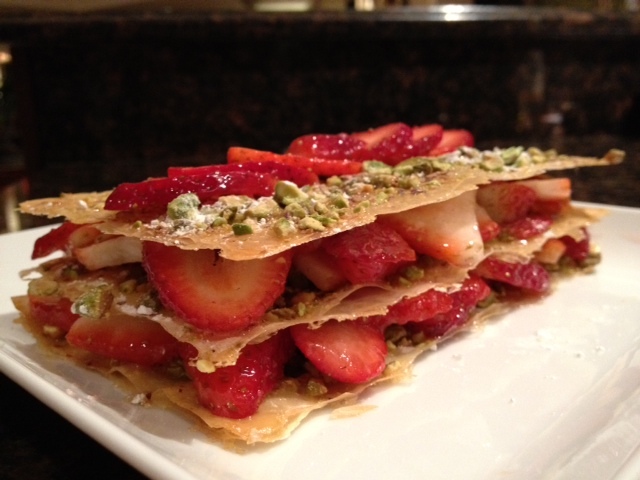 Layer 3 rectangles on top of another and sprinkle powder sugar and pistachios crumbs. Transfer those 3 layers rectangles on the large silpat. You should have 12 rectangles in all. Cook for 3-4 minutes at 400. Remove the silpat out of the oven and let the rectangle cool until they are cold and hard. Meanwhile slice the strawberries in their width in a bowl, add 1 tbsp of sugar and stir to coat. 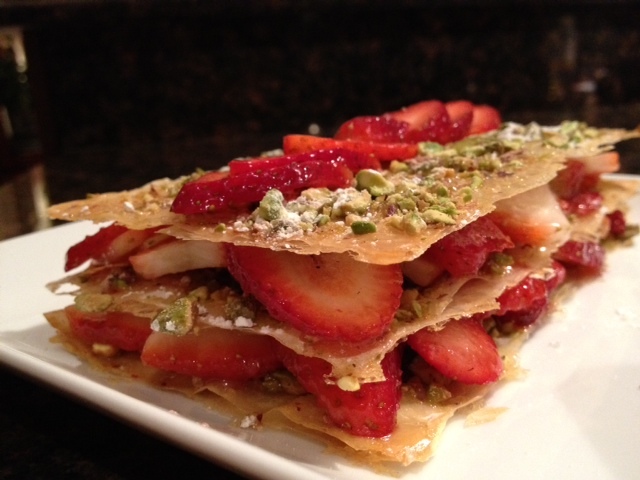 To build the napoleon, place one rectangle, layer the starwberries, add another rectangle and repeat. Finish with a layer of the dough. ET voila!! !